Your business needs a good technology base, and that begins with a trusted partner. You can trust VISTECH to deliver quality Software Development & Managed IT Services. VISTECH's Managed IT programs create and then maintain & support the infrastructure you need to connect staff, partners, vendors, and clients. Leveraging the cloud reduces costs. Implementing the right technology the keeps your business safe & secure.  VISTECH has been in the custom software development business for more than 20 years. We have domain experience in many industries and only use our on-staff, U.S.-based resources. Starting your software project with solid design is critical to longer term extensibility & maintainability. Engaging VISTECH as your Virtual CIO allows you to focus on your core business, leaving us to deliver worry-free technology.